Tracy's Notebook of Style: Target $7 June Beauty Boxes Available: Father's Day & Women's! 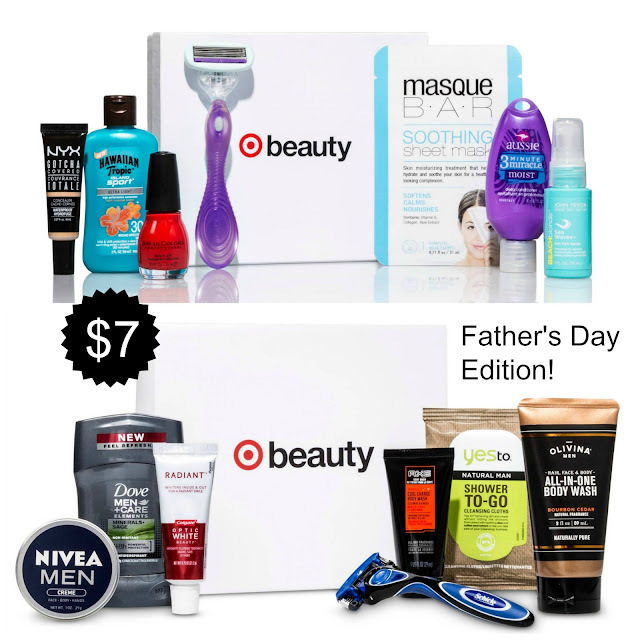 Target $7 June Beauty Boxes Available: Father's Day & Women's! 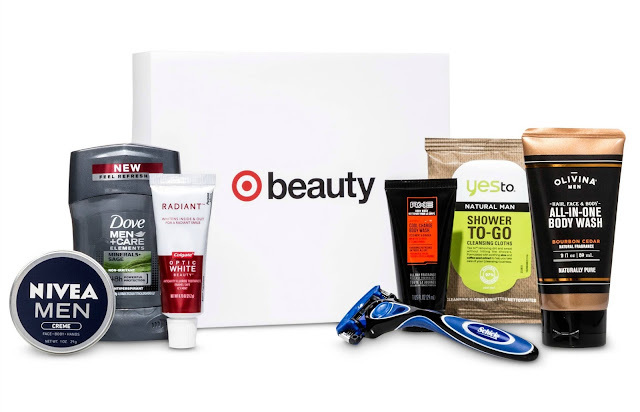 The Target June Beauty Boxes are available today! The price is $7 for each box with a value $31 + Free Shipping and 5% off for REDcard holders. 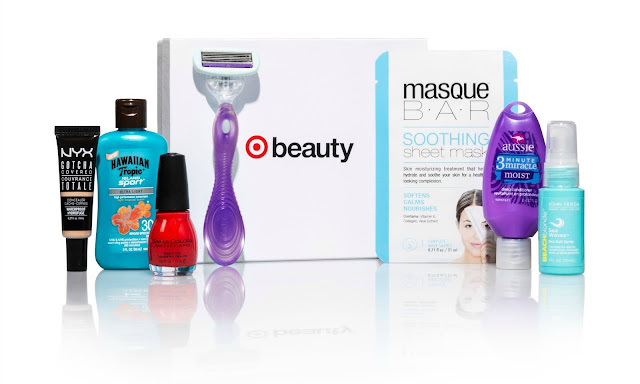 This is a one-time purchase and a limit of one box of each per order to ensure all guests get a chance to enjoy the beauty box. Just a heads up, after placing orders for the Father's Day box, customers are receiving e-mails saying the box may ship later than expected, not sure if that's a glitch or Target is overwhelmed with orders. As a girl with super light skin, I noticed the NYX concealer is in "medium", it's too bad we aren't able to choose our shade, sadly I'll be passing on the women's box this time. Why do the men's boxes always seem better than the women's? It's weird because the women's is supposedly a better value. weird. Target $12 Shorts + Sandals + $5 Tees & Tanks!